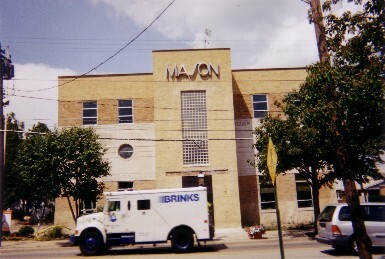 Here are a few pictures from Mason, Ohio, the place I live for the time being. My empoyer will probably relocate us in a year or so to Wisconsin, it's a big unknown, so I'm reluctant to call it my hometown; I've been here for 7 years. This is a typical midwestern town. There are lots of churches and strip malls. Good place to raise a family as they say. Conservative, affordable houses, corn fields to the north in mid-Ohio and tobacco farms to the south in Kentucky. 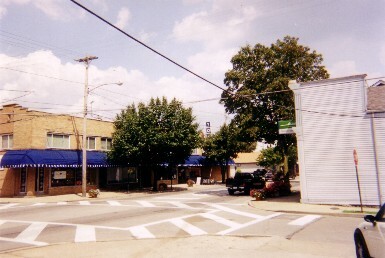 This is main street Mason. You can see Yost Pharmacy across the street with the blue canopy decorated with the letter "Y" all the way around. It's an old-fashioned Five-and-Dime; the only thing missing is the soda fountain. 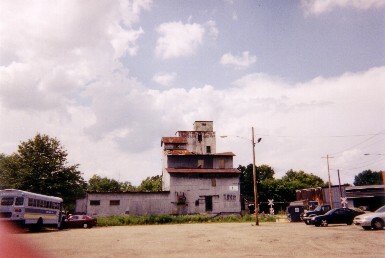 This is the old coal and lumber store as viewed from behind. In a bygone time, people in Mason heated their home with coal. This place hasn't been in business for many years, but it still stands, empty. This is the old city administration building. 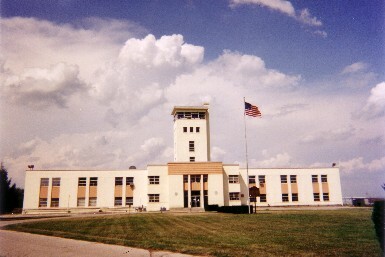 It housed the tax department, the police department, a couple of jail cells and the city government functions like the water and sewer department. Many years ago the administration building had teen dances on Saturday night. Mason has grown in size and population over the years. New neighborhoods pop up like weeds around these parts. So now this old administration building is a restaurant. I haven't eaten there yet, maybe I never will. 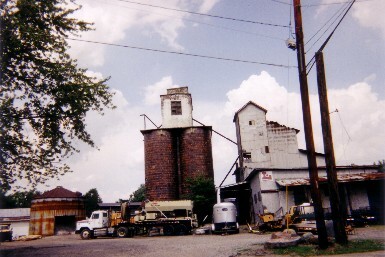 This is the old grain depot. Not sure if it's used or not. Typical site in the midwest if you're nestled in the farmland. This is the new city administration building. It's a $7M monstrosity. 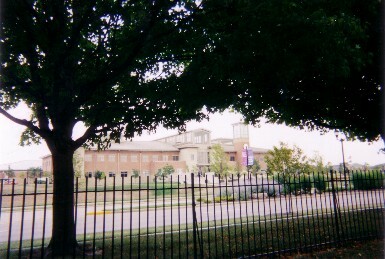 It has two swimming pools, a health center, a senior center, meeting rooms, police station, jail, and all the city offices. The vote to build it was in two parts: First, there was a ballot item for building it, which passed. Second, there was a ballot item to pay for it, which failed. They built it anyway. 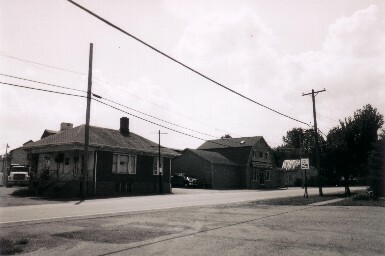 This is just another street in Mason, a block or two away from Main Street. What else can be said? This is the now unused Voice of America (VOA) building. Back in the cold war days, the VOA would broadcast to communist countries extolling the virtues of democracy. The VOA also carried general interest radio programs for people overseas. The VOA is still in business, just not this transmitter site. The VOA can be listened to on shortwave or streaming over the internet. 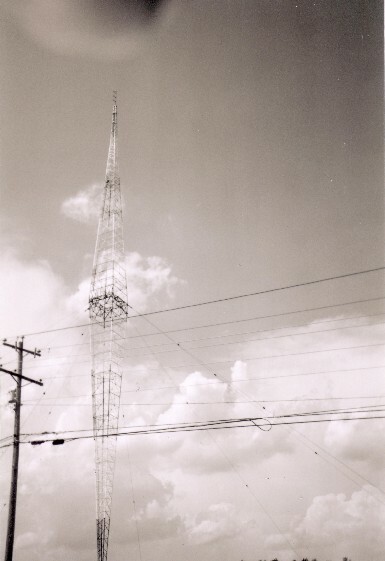 This is the broadcast antenna for the AM radio station, "700 WLW", also known as, "The Big One". It's one of the original AM stations with a 50,000 Watt licence; you can tell because there are only three station call letters. It can be heard in about 20 states. When we first moved here, we could pick it up faintly on the house telephone (and the antenna is about two miles away!). This is a local church and is visible from the interstate highway I-75 (at about exit 29 in Ohio). Over the top maybe? 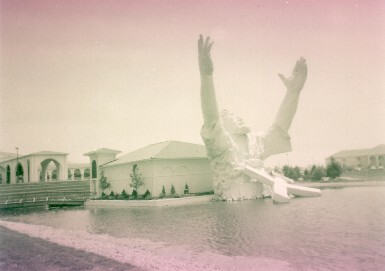 All I'll say is religion is big around here. 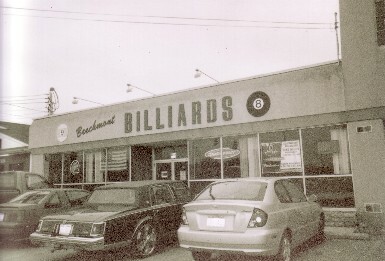 This pool hall is not in Mason, it's actually about 25 miles away in Beechmont. It's a smokey old place that serves beer and is open 24 hours a day. My son and I get out to it about once a month. 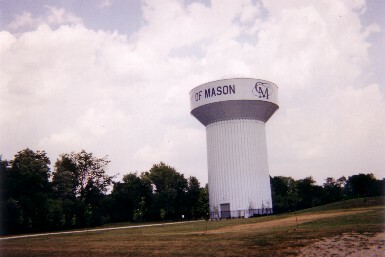 Just one of the many water towers in Mason. It's a pretty ugly design, but functional.